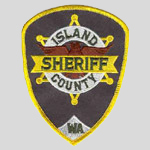 Island County name reflects the fact that it consists of two large islands, Whidbey and Camano, and seven smaller islands (Baby, Ben Ure, Deception, Kalamut, Minor, Smith, and Strawberry). In 2017, the estimated population was 83,159. Its county seat is Coupeville, while its largest city is Oak Harbor. Island County was created out of Thurston County on December 22, 1852, by the legislature of Oregon Territory, and officially founded on January 6, 1853. It is the eighth-oldest county in Washington. 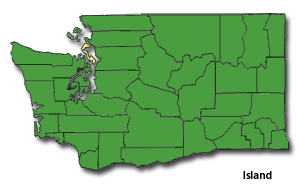 It originally encompassed what are now Snohomish, Skagit, Whatcom, and San Juan Counties. According to the U.S. Census Bureau, the county has a total area of 517 square miles, of which, 208 square miles of it is land and 309 square miles of it (59.71%) is water. The population density is 344 per square mile.